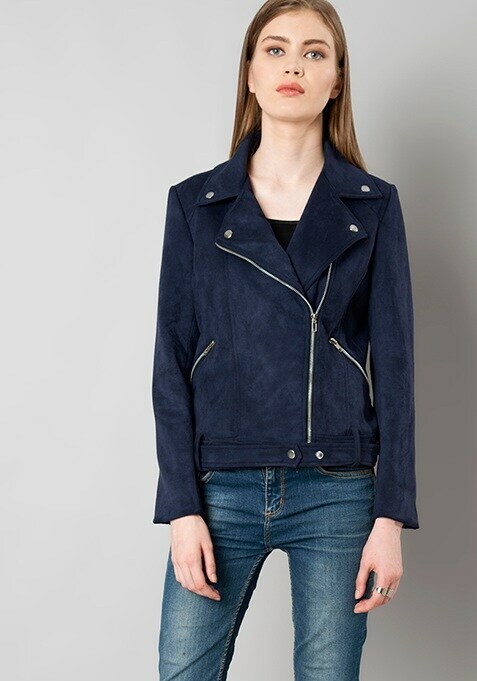 Step out in style with this smart and stylish Navy blue hued Biker Jacket. The buttery soft suede knit fabric along with a full zip closure and waist cinching belt make it a gorgeous winter garb. Work It- Incorporate it with Ripped Jeans and Fishnet Stocking to grab all the limelight.